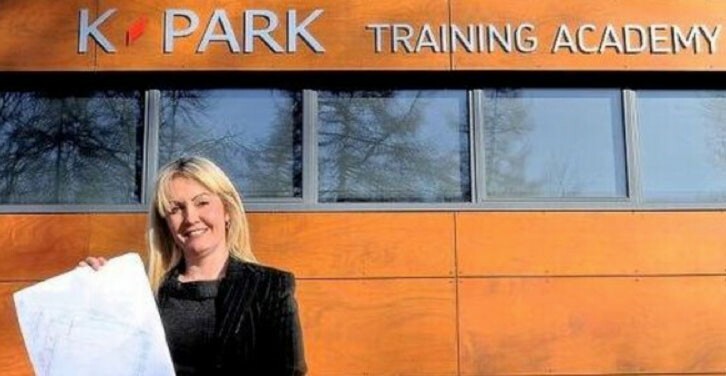 Plans for an indoor sporting facility that will house a five-a-side football pitch and a boxing gym next to East Kilbride Community Trust’s K-Park in Calderglen Country Park were approved by South Lanarkshire Council this week. A new sports facility at Calderglen Country Park including a boxing gym has been given the go-ahead by council planners. The indoor sporting facility will be on land currently leased by the East Kilbride Community Trust (EKCT) from South Lanarkshire Council. EKCT currently operates a football facility and stadium at Calderglen and the new facility will be located to the west of this. The detailed plans, which were approved at a meeting of the local authority’s planning committee yesterday (Tuesday) also include a five-a-side football pitch. The site of the new pavilion will cover an area of 1800 square metres and is bounded to the south by the existing EKCT building, East Kilbride Sports Club and to the north by existing woodland and the Rotten Calder Burn. There will be eight car parking spaces provided for the new development sited at the rear of the existing access road though the park. The development will include additional tree planting on the north and east boundaries with no removal of existing trees. And the majority of the facility will provide a location for a variety of indoor sports, such as basketball and badminton. It will also include a boxing gym. Changing facilities and toilets in the existing Trust pavilion will be available to anyone using the new facility. The plans did lead to some objections over the existing road network in the park not being able to cope with extra traffic and parking problems being compounded, but the report by planners said the council’s roads and transportation services were satisfied with the road layout. Councillor Jim Wardhaugh is also urging the council planners to look at implementing traffic calming measures. Letters of support were also submitted to council planners indicating that the boxing gym will provide a vital facility for East Kilbride. However, conditions were put in place by planners in regards to the development, which included: no trees being lopped, topped, pollarded or felled and no shrubs or hedges removed without prior written consent; no development commencing until details of surface water drainage arrangements have been submitted and, before the sporting facility is brought into use, all the parking spaces which make up part of the plans have been constructed.